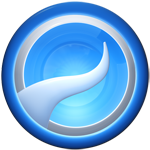 Anywr, Anywr is a tool to backup and manage data online, allowing you to manage and back up the information and data from your mobile phone straight from the web browser. Ringtonizer.com, can be said at present most phones support MP3 ringtone audio formats, thereby creating the conditions for you to select your favorite songs as ring tones for "mobile phone " mine. Zedge.net- website download ringtones, wallpapers, applications, downloads Zedge.net costume wallpapers, ringtones, applications ... leading US. Here Zedge not only acts as a supplier but also as middlemen for you to provide file-heartedly wallpaper, ringtone downloads to other persons. Loveforht, Loveforht is a service that lets you send free SMS messages to mobile phones. As a registered user account, each day you are allowed to send 5 free messages. If you want to send more, you need to recharge your account. Appolicious - Warehouse applications "cricket", If you are looking for applications for mobile phones, especially the iPhone application and can not find, Appolicious can help you. Onbile - Create a mobile version for the web, you create a website or blog to attract a lot of traffic, now wants to create a version of a mobile version so that more visitors more? ToneBee, plaited Whenever you always want to have the ringtone you really "hot", unusual for people to attract attention to others and to demonstrate the sophisticated. Android Device Manager, recently, Google has released a great solution for Android users, enabling them to monitor, lock and remote wipe the phone or tablet is lost or stolen. 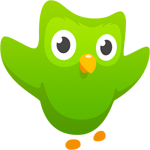 Duolingo, duolingo English website online completely free of charge, through this website users are trained in listening, speaking, reading, writing, from basic to advanced. Trello, Trello is a very effective tool to manage work, particularly project management of many people. 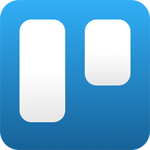 In addition to versions for mobile devices, today Trello have online versions. Trello is also seen as one of the applications that help manage the work efficiently and most simple. 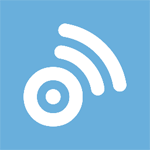 BuzzSumo, BuzzSumo is a very powerful tool, which allows users to search for information is being shared and are most interested in, serve the purpose of writing and building content strategy, blogging or other purposes. 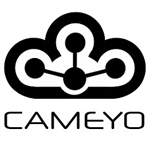 Cameyo online, Cameyo an online application support allows users to create portable software with extremely simple operation. IMindMap for Web, IMindMap for Web is a next product of Tony Buzan, allowing users to instead download the installation file to your computer IMindMap complex, may experience a mapping application most powerful thinking on Browser. 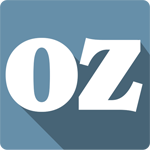 Ozdic.com, Ozdic.com is considered one of the best dictionary support for English language learners. With a simple interface, this online application is an effective solution in case you want to learn the best collocation correctly.